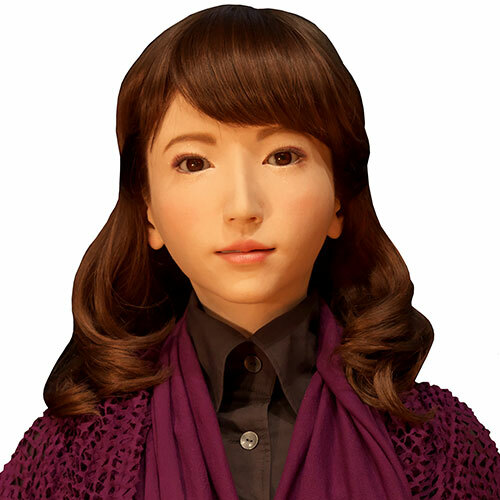 Zeno is a small humanoid with an expressive face and conversational AI. 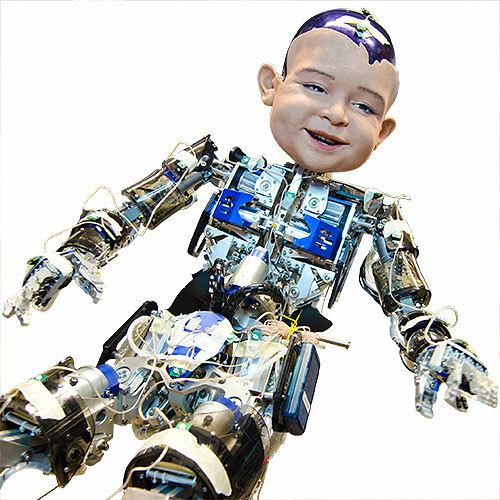 It's designed as a platform for human-robot interaction research, particularly for diagnosis and treatment of autism spectrum disorder. 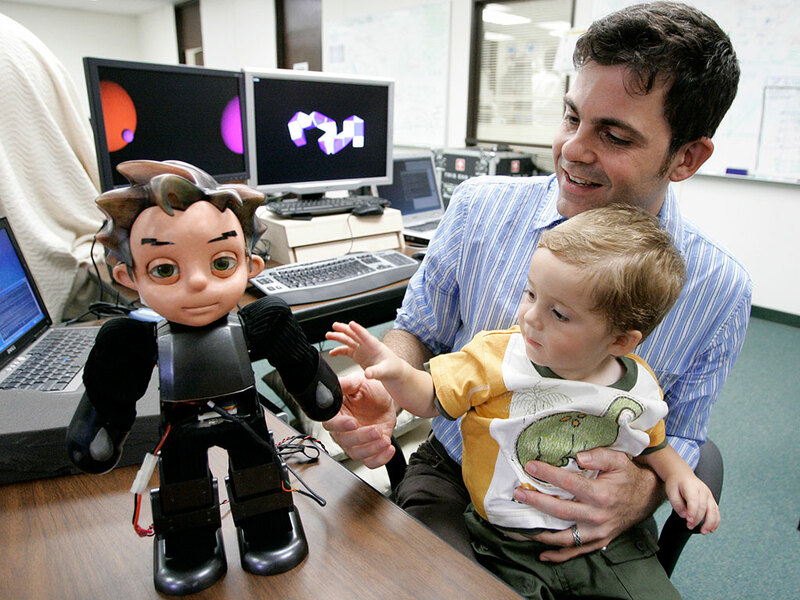 David Hanson with his son Zeno and his robot Zeno, in 2007. Zeno's Frubber face can express a wide range of emotions. 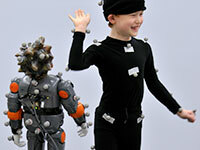 Using a motion-capture system to interact with Zeno. 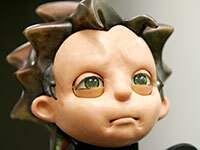 Zeno helps autistic children learn social skills. 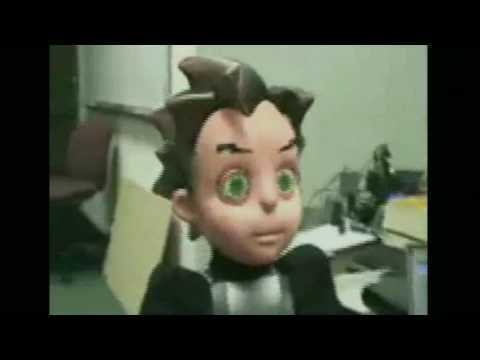 David Hanson on robots that show emotion at TED 2009. David Hanson on what makes Zeno unique. 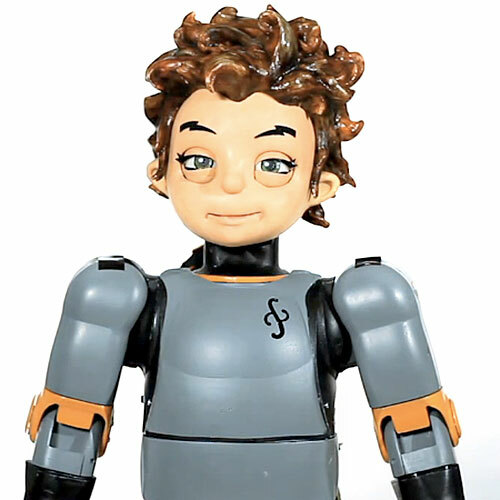 Zeno was inspired by a character named David, from a famous 1969 short story by Brian Aldiss called "Supertoys Last All Summer Long." Hanson Robotics founder David Hanson designed and named Zeno after his real-life son, Zeno. Zeno uses a patented synthetic rubber skin called Frubber (a contraction of "face" and "rubber"). 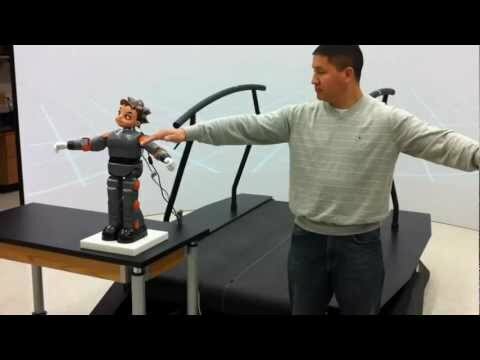 Zeno and other Hanson Robotics humanoids have participated in numerous autism diagnosis and treatment studies at the Autism Treatment Center in Dallas, the University of Pisa, in Italy, and other research institutions. 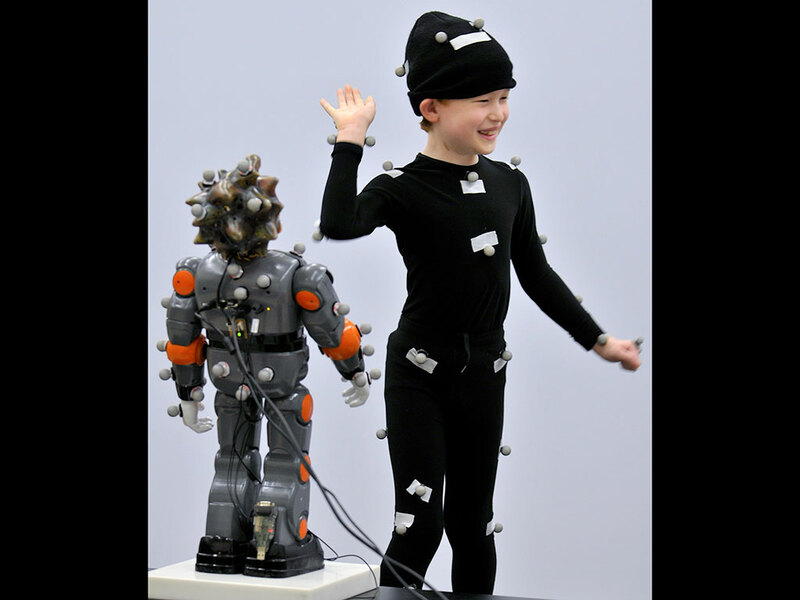 Full range of facial expressions using proprietary biomimetic skin Frubber and network of actuators that mimic human facial muscles. 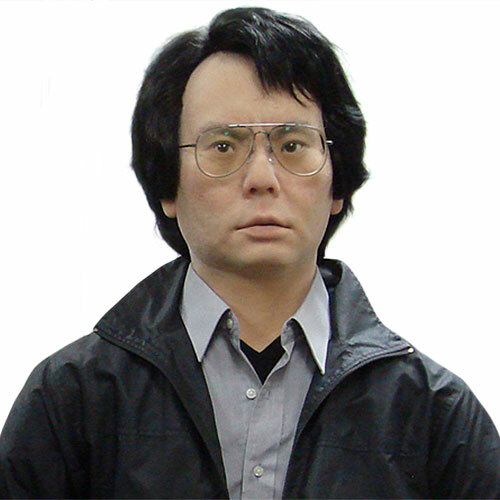 Face tracking and conversational AI. Walking capability. 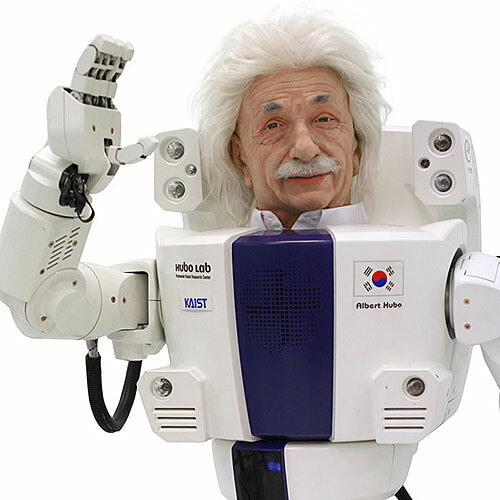 Two 720p, 30fps HD cameras (one in each motorized eye). Three-axis gyroscope, three-axis accelerometer, compass. Twenty one joint load sensors, 30 joint position sensors, two cliff sensors, two ground contact sensors, two infrared obstacle-detection sensors, two bump sensors (feet), grip-load sensors in the hands. Three microphones. Three Cirrus CS-101 STD 4-gram micro servos. Five Hitec HS-65MG motors (Frubber actuators). Dynamixel RX-64 (legs, hips, shoulders). Dynamixel RX-28 servos (waist).